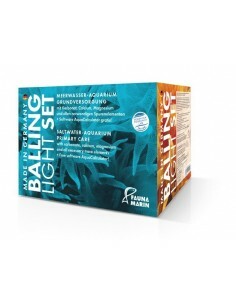 Trace element solution for the Balling light Methode or the classical Balling light methode. 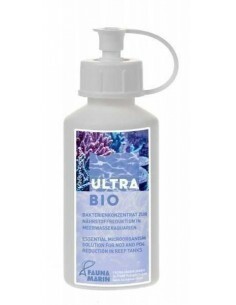 The necessity of supplementing depleted minerals and micronutrients (trace elements) to reef tanks is due to enhanced growth rates of corals and marine algae in reef tanks, thus its importance is not to be underestimated. 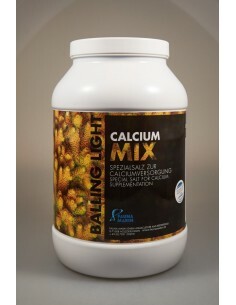 FAUNA MARIN provides a complete product line for the easy supplementation of calcium,magnesium, carbonates, as well as essential trace elements. FAUNA MARIN sticks to its principles: best results obtained by purest chemicals. Trace element solutions based on the original method for lime and micronutrient supplementation after Balling®. All three solutions are perfectly balanced. Dissolve 2 kg of calcium chloride dihydrate in 4 litres of osmosis water and then fill the canister with osmosis water.
! Caution ! Always add the salt to the water - never vice versa!